In the introduction of my post about stay at home mamahood with my friend Jenny, I mentioned wanting to share motherhood experiences that differ from my own. It’s important we support each other regardless of what our days look like because this journey can be very lonely when we don’t. And no mama should have to feel alone! With that, I’m so happy to welcome Akruti from the Kulture Khazana today. Akruti and I connected on Instagram (where all the best connections are made! ), and after reading more about her journey, I asked if she wanted to share her story on MIS. She agreed, and here we are! Akruti is a MOMtreprenuer who is balancing motherhood with starting her own business and pursuing her passion. And this is one I can definitely get behind because I’m all about figuring out how to preserve our Indian culture for Kaiden. Anyways, I don’t want to steal Akruti’s thunder. 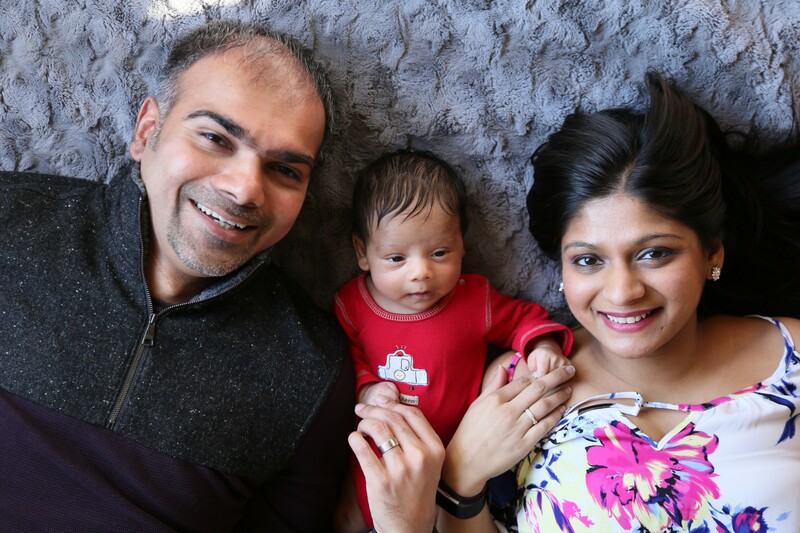 Keep reading to learn more about her and her journey to motherhood and entrepreneurship! Being a mom is the biggest blessing; very gratifying but extremely exhausting. The first year of motherhood fills you with joy, turns you into a zombie and makes you self-aware. The year 2017 was all of the above and some more. We experienced the highest of highs and the lowest of lows. 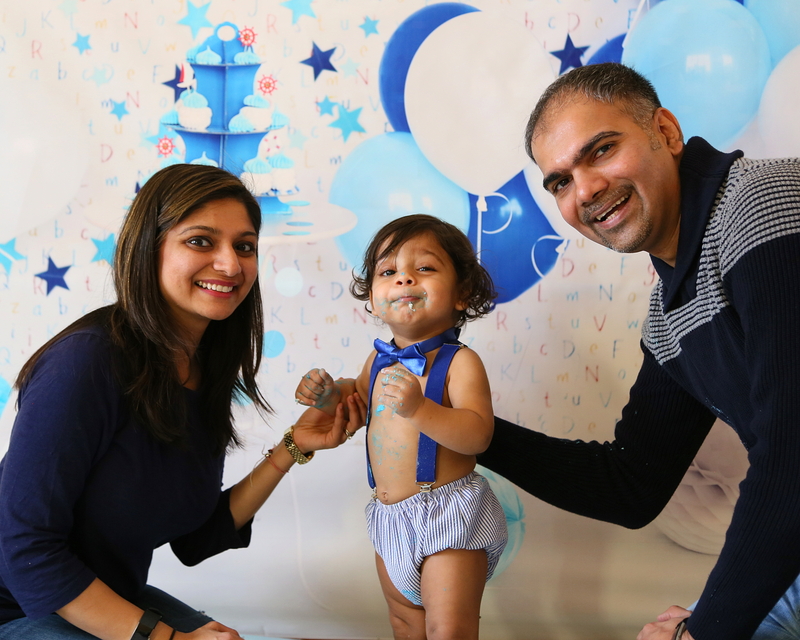 Our son, Ayaan, was born in January 2017 after an emergency C section. I had post-surgical complications resulting in an eight day inpatient stay. Ayaan was the oldest kid in the nursery and had a great time bossing around other babies while I got plenty of lactation help. This was our silver lining, and we were grateful Ayaan was healthy and thriving. My mother-in-law was battling cancer and had a relapse in India. Unfortunately she passed away in June 2017, which was the same day I had emergency surgery due to post-pregnancy complication. This was the worst day for our family as Ayaan witnessed his parents crying and didn’t see them both for a few days afterwards. I had to be hospitalized for over a week due to a post-surgical abscess. With the husband in India and me in the hospital, our family and friends rallied around for us and Ayaan. My parents and granny live seven minutes away and my sister got on a plane three hours after I called her for help. God is great and has surrounded us with family and friends who help us get through the toughest of times. A follow up surgery was performed in October 2017. After three surgeries and losing my mother-in-law in one year, I hit the lowest of lows. But through all this, we had a healthy, smiling and innocent baby we are so grateful for. It’s in adversity that you somehow gather immense courage and crystal clarity. In those moments, I decided to make the most of my time with Ayaan and to take a break from the corporate world. My husband and parents were extremely supportive of the decision. 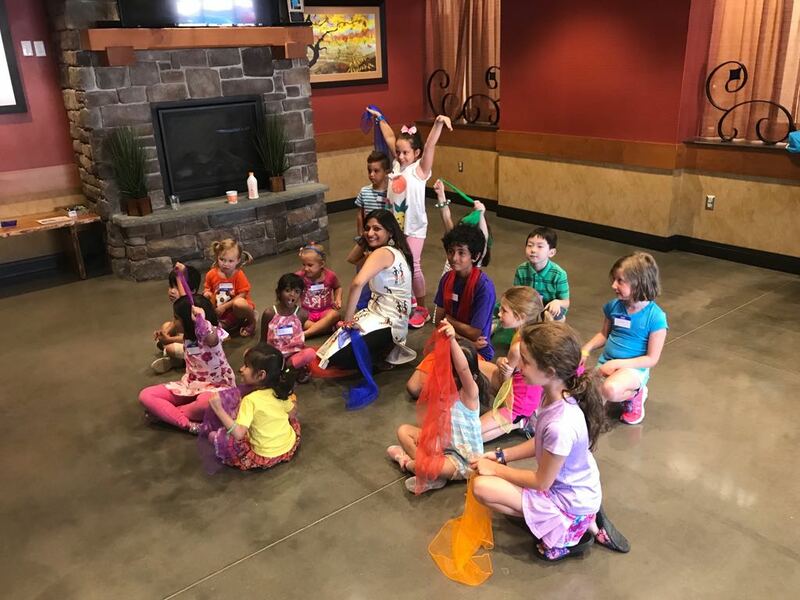 As I was spending time with Ayaan and trying to come up with activities, I realized the lack of resources for Indian parents to engage and expose their children to the Indian culture. As a mom, I wanted Ayaan to embrace his culture and appreciate his roots. At the same time, I wanted to share the culture with his friends and people around him so they would also gain a perspective of his familial roots. That’s how Kulture Khazana was born in January 2018. I started putting my mom antenna and MBA to use and haven’t regretted the decision a single day! Entrepreneurship is a very fulfilling, passionate, flexible and lonely journey. It took me a few months to realize this and to come to terms with the lack of defined structure. As a Project Manager in my past professional life, I thrived on structure and social interactions. This new life was anything like that. It was hard to be mindful during the MOM part of MOMpreneur and I lacked the rhythm for focused work. To add to it, I craved adult company. I started creating a dedicated work schedule during my son’s nap time, and my mom watched Ayaan a few hours a week, but this wasn’t enough. That’s when we decided to start Ayaan at daycare for 2 days a week. He needed the social interaction, and I needed the dedicated work time. For all practical purposes, this was a win-win situation. But then crept in the mom guilt, especially when Ayaan cried while getting adjusted in the beginning. I cried with him and wished I had decided to go slow with work. But deep down I knew that this was temporary and was going to help us both. My husband was a pillar of strength for the family. In a few short weeks, Ayaan loved his friends at daycare, and I got to create a work schedule that served both of our priorities. Every now and then, when I need to work a lot, the mom guilt creeps back in. I tell myself that when Ayaan grows up to realize the goals his mom worked towards, he will not want it any other way. This whole new life of motherhood and entrepreneurship has come with its own set of challenges and rewards. There are a few tricks that have helped me ride this roller coaster with my sanity intact. My priorities are very clear: Mom first. If my baby is really sick and I feel he absolutely needs MOM, I make that a priority over everything else. At the same time, when work gets busy, I make peace with not being around as much. The house is not always clean or orderly, dishes are not always done before bed and I don’t make elaborate meals a lot. I’ve made it a point to maintain my friendships and make time for them. In order to bring some routine into my life, I wake up around the same time every day and incorporate a small morning ritual. Most importantly, hubby and I go on a date night twice a month where we make every effort to talk about our careers and other things that are important besides Ayaan. Every time I meet with people to discuss the work and my vision, the most frequent observation they have is my passion. Passion is what keeps me going and it is something that can’t be faked. I can’t wait to create more workshops for schools, libraries and other creative venues to share our culture with families. 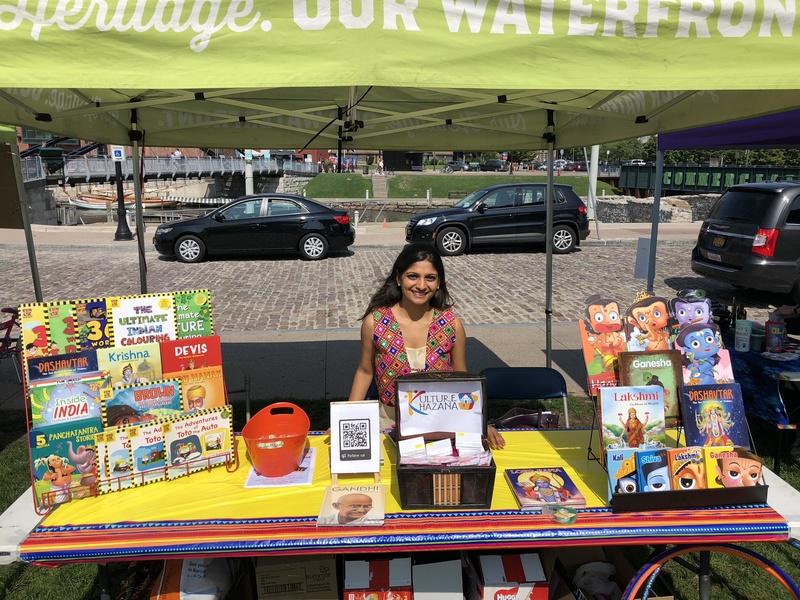 I can’t wait to acquire more children’s books from India to benefit kids in North America. I can’t wait to finish writing my first book exposing infants and young children to the Indian culture. 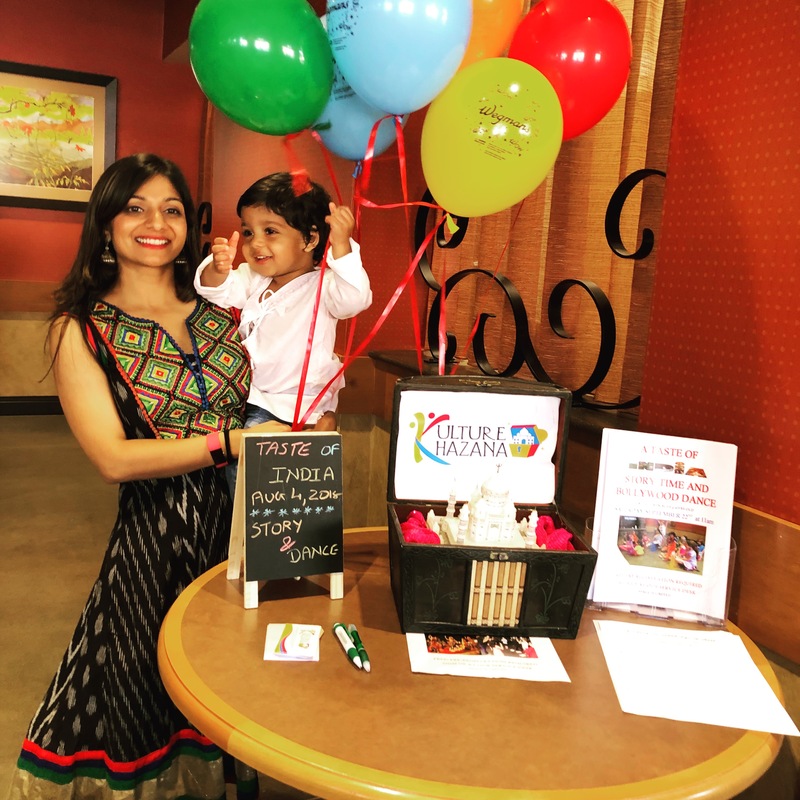 Above all, I can’t wait for Kulture Khazana to be a place where families turn to for Indian cultural resources. Ayaan is the reason I am a MOM and a MOMpreneur, and I owe it to him to give my 200% to both. Thank you Akruti for sharing your story on MIS! I can’t wait to see where this journey and Kulture Khazana take you! Also, be sure to follow Akruti on Instagram at @kulture_khazana. Also, if you or someone you know is interested in sharing her motherhood journey, please email me at myinnershakti@gmail.com. I’m really looking forward to sharing as many people’s stories as possible!